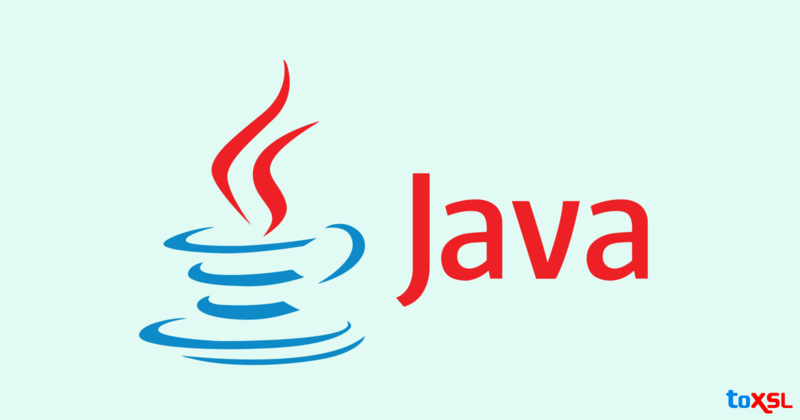 Java is an excellent language for creating cross-platform desktop applications. However, mostly, people get confused between choosing languages and wondering whether to pick Java or not or why pick Java for Web Development? Here we are explaining why you should choose Java Programming language over other languages. Open Source Libraries: Open source libraries guarantee that Java should be used everywhere. Apache, Google, and other organization have contributed a lot of great libraries, which make Java development simple, quicker and cost-effective. There are frameworks like Spring, Struts, Maven, which guarantees that Java development follows best practices of software craftsmanship, promotes the use of design patterns and helped Java developers to complete their activity. Easy to Learn: Many would be shocked to see this one of the top reasons for considering it as the best programming language. Java has fluent English like syntax with the least magic characters which makes it easy to read Java program and learn quickly. Once a programmer knows about introductory obstacles with "installing JDK" and "setting up PATH" and understand "How Classpath works", it will be very simple to write the program in Java. High Performance: Both regarding memory and efficiency, Java has ended up being impeccable. The bytecode interpretation was thought to be an extra duty of the compiler, which demanded intensive processing and memory utilization. However, with the advancement of virtual machines, there is just in time (JIT) compilation, which gives both high speed and high performance. Rich API: Another reason for Java programming language's most gaining popularity is its rich API. Java provides API for I/O, networking, utilities, XML parsing, database connection, and almost everything. Whatever left is secured by open source libraries like Apache Commons, Google Guava, and others. These ready-to-use APIs are utilized to build reliable and strong network systems. Powerful Development Tools: Excellent Java tools are available to help you with being profitable. They help in code completion as well as provide powerful debugging capability, which is essential for real-world development. Integrated Development Environment (IDE) made Java much easier, quicker and familiar. It is easy to search, refactor and read code using IDEs. Object-Oriented Language: A reason which made Java popular is that it is an Object-Oriented programming language. Developing OOPS applications is much easier, and it also keeps system modular, flexible and extensible. Once you have knowledge of key OOPS concepts like Abstraction, Encapsulation, Polymorphism, and Inheritance, you can use all those with Java. Platform Independent: This is one of the fundamental reasons behind Java being the best programming language. The majority of the web development frameworkshave a built-in Java Runtime Environment, the only prerequisite for running an application that has been developed in Java. Therefore, no setup or dependencies must be infused into a system before executing a Java app. Portable: Code written in Java can be taken from one PC to the other without having to worry about system configuration details. Of course, despite Java's benefits and popularity, it is not a flawless language. Critics have pointed out some shortcomings in the Java framework when contrasted with other object-oriented languages. Unlike them, Java is certifiably not an extremely solid choice in system programming since it does not uncover the lower-level hardware details to the developers. However, despite its flaws, no other language matches to Java regarding adaptability and seamless integration with other frameworks and technologies. Obviously, Java will keep on dominating in the years to come.